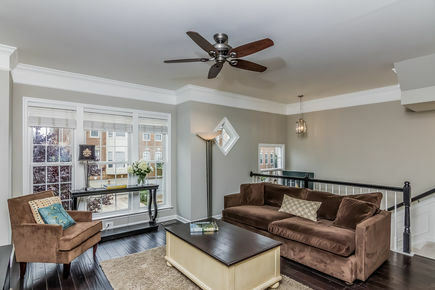 Sold for $620K in 18 days (August 2015), with Bella Casa Partners once again setting the highest sale price for this Overlook interior townhouse model (highest price since August 2006). 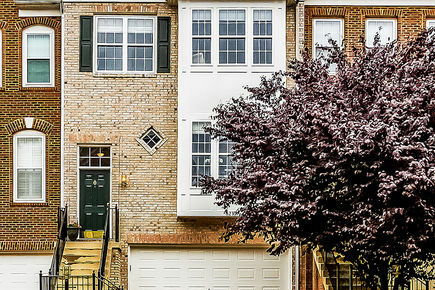 Bella Casa Partners presents this tastefully appointed, newly upgraded townhouse in the Overlook Community in Alexandria, Virginia. 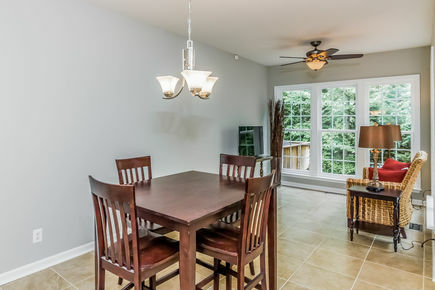 This house offers its new owner an elegant, yet livable move-in ready home. 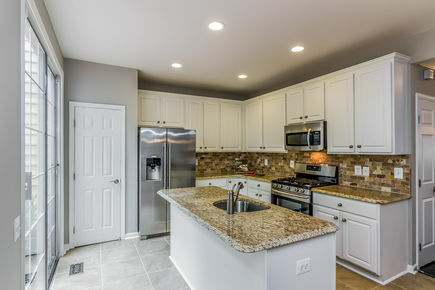 Overlook is located just inside the Beltway, with easy access to 395/495/95, a direct bus to the Pentagon less than five minute walk from the front door, and close proximity to the Van Dorn Metro. When entering the community, you drive up a long winding, tree-lined avenue. Overlook surrounds Fairfax County's Bren Mar Park, with green space features are rarely found in a community located inside the Beltway. 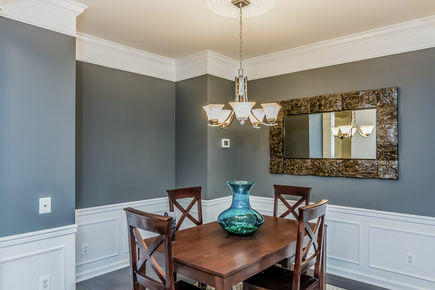 A focus on the details, both big and small, is apparent throughout this house, from the visual impact of the new Benjamin Moore paint in neutral greige colors to the new brushed nickel hardware on every door in the house, with levers replacing knobs for a more elegant look and feel. The landscaping has been professionally designed and newly installed, with low- to no-maintenance plantings, so that the new owner can focus on enjoying the landscaping, rather than upkeep. The new stacked Colonial fieldstone walls and new post light in the front make this house standout at the curb. The front door is newly painted with a new brass lockset, knocker, kick plate, and porch light. Once inside, the foyer is lit by a new lantern-style three light pendant light above the newly installed Travertine floor. 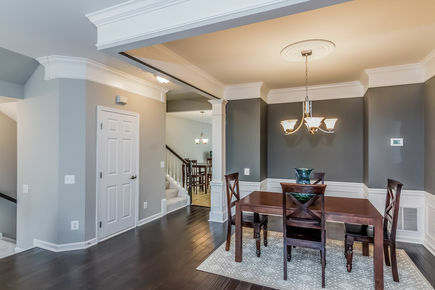 The house opens to a living room and a dining room, with crown molding, wide-plank espresso colored flooring, and wainscoting in the dining room. 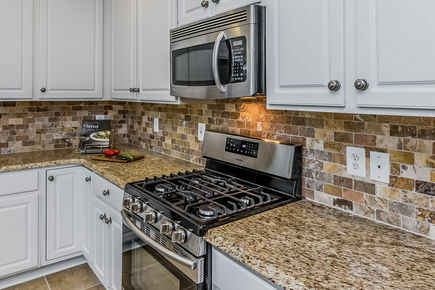 The kitchen has a cook's layout that is ready for entertaining, with an island sink, ample prep room, stainless steel appliances, white cabinets, granite counters, and a new Travertine backsplash. 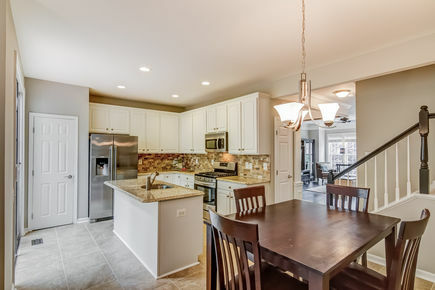 Adjacent to the kitchen is an area sized for informal dining, with a new brushed nickel light fixture. 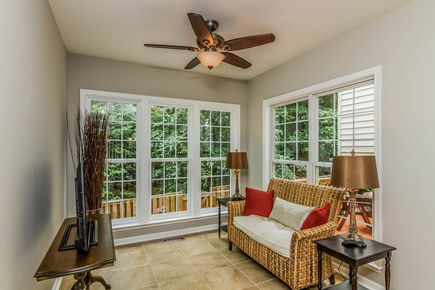 Another room adjacent to the kitchen offers space for a sofa for relaxation or entertaining, with five windows that overlook the deck and garden patio. 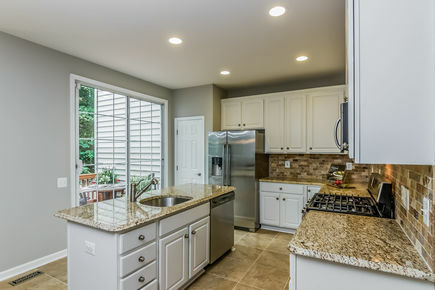 The kitchen and adjacent areas have a newly installed 18x18 tile floor. 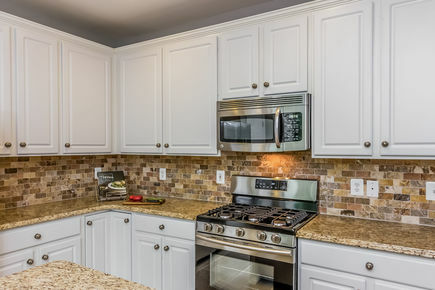 The kitchen has immediate access to the deck and patio for al fresco dining or entertaining. The garden patio area has crushed blue stone and raised beds of Pennsylvania fieldstone, with plants chosen for their color as well as their low-to-no maintenance requirements. 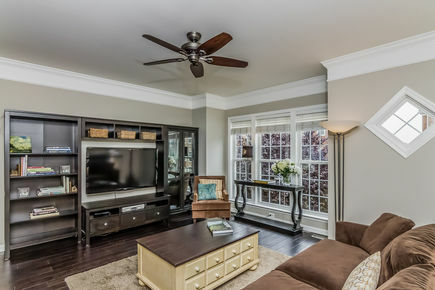 The Master Bedroom suite is large enough to make a King-size bed look small, with a four light ceiling fan in a pewter finish to compliment the wall color. The Master Bathroom has been newly upgraded with a granite vanity top with undermount sinks, Moen Brantford brushed nickel fixtures, matching framed mirrors, soaking tub, and a semi-frameless brushed nickel shower door. The hall bathroom upstairs also has new upgrades of a granite vanity top with a rectangular undermount sink, Moen Brantford brushed nickel fixtures, framed mirror, and brushed nickel light fixture. The half bathrooms on the Main and Lower Levels also have new upgrades of Moen Brantford fixtures, framed mirrors, and brushed nickel light fixtures. The Upper and Lower Levels have newly installed carpet in a neutral, off-white color. The garage is a two-car, single door model, with a separate area for storage. The HVAC system (Lennox) and hot water heater have been upgraded in 2012 and 2010.